You can ward off diabetes with some preventive lifestyle intervention—and diet is a huge factor. Once you’ve been diagnosed, though, diet plays a role in how you manage the disease. And it isn’t all about what you eat, but how often you eat—according to a new study. Conventional wisdom (and previous research) says diabetics should be eating six small meals a day. For many years, this was considered the best way to manage your blood sugar and prevent an increase in body fat, which can be a negative when it comes to controlling blood sugar. For me personally, this is how I normally eat. Small, more frequent meals allow me to stay fit and energized through the day. I am not diabetic, but this method works for me. But some new research from Europe has shown that just two larger meals a day may be a better alternative in helping diabetics control their blood sugar and their weight. 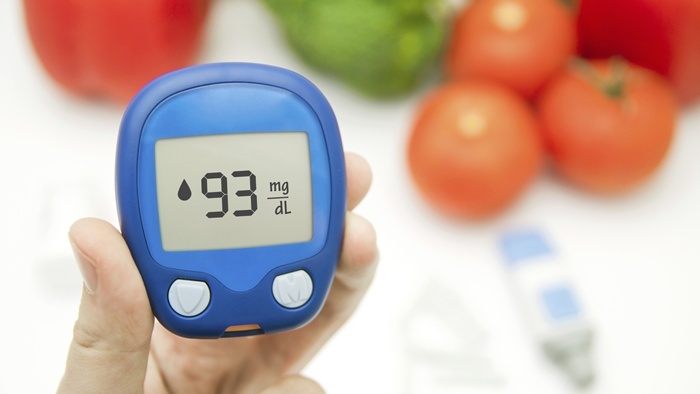 The randomized trial, carried out in the Czech Republic, looked at 54 subjects with type 2 diabetes who were taking medication as part of their treatment plan. The study group included men and women, aged 30 to 70, who followed one diet for 12 weeks before switching to another diet for another 12. The difference in diets? One outlined eating six small meals each day and the other followed two large ones. The results of this study indicated that those who ate two meals per day lost an average of 3.5 pounds more than the group who ate six smaller meals. In addition, fasting blood sugar was lower on average in the group who consumed the two meals per day compared to the group who ate six meals. Surprised? Another interesting finding was the group who ate two meals per day had less accumulation of fatty deposits inside the liver and better insulin sensitivity in contrast to the group who ate six small meals. This small study recruited people who were suffering from type 2 diabetes and had a body mass index (BMI) that ranged from 27 to 50. The results showed that both regimens were helpful in controlling blood sugar and encouraging weight loss, but found the two meals per day to have the best results. In my opinion, these results will not apply if you are obese and suffering from type 2 diabetes. You may find eating twice per day with your last meal at noon may be a difficult regimen to maintain. I feel as though this research should be taken on a case by case basis. Each diabetic has a different weight and different limitations. Talk to your doctor to find out which method will work best for you based on your own health history. Nainggolan, L., “Breakfast Like a King: 2 Large Meals Benefit Diabetes,” Medscape website, May 19, 2014; http://www.medscape.com/viewarticle/825341.